Are you looking for opportunities to market your company to a large crowd of families? The Irish Fair of Minnesota (IFM) has exclusive mobile marketing booth openings for the 2019 Fair. 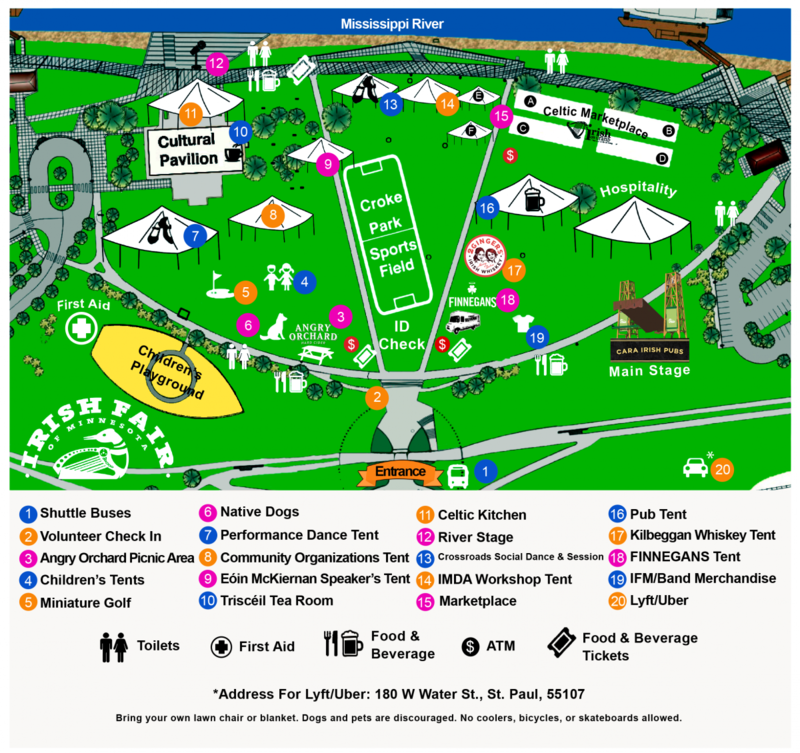 IFM produces the largest free Irish Fair in the country, held annually on Harriet Island in St. Paul over a 3-day weekend. This year, we will celebrate our 40th Fair year and anticipate crowds of 80,000 – 100,000 people. IFM will be held August 9-11, 2019 on the grounds of Harriet Island Regional Park in Saint Paul, Minnesota. In addition to mobile marketing opportunities, we also have custom sponsorship available. For more information or to please sponsporship@irishfair.com.